Congratulations on your new smartphone! If you’ve never owned an Android smartphone before, you may not realize that you now carry a mini-computer in your purse or pocket. Your new phone keeps you connected in ways you could never have imagined a decade ago. To make the best use of your new Android phone, you’ll want to ensure that you protect your private information, back up your photos and videos and download apps that you’ll find helpful in your personal and professional life. 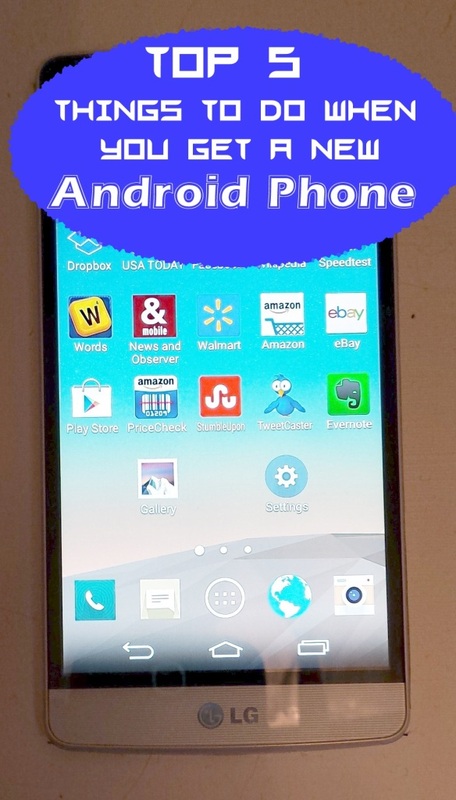 Here are the 5 things to do when you get a new Android phone or tablet. Your smartphone will almost immediately begin storing a big chunk of your private life, as soon as you set up an email account on it, sync your contacts with it, send some text messages and take a few family photos. Should the phone become lost or stolen, you’ll want the ability to remotely lock it with a password or erase everything on it – reset it to factory settings. 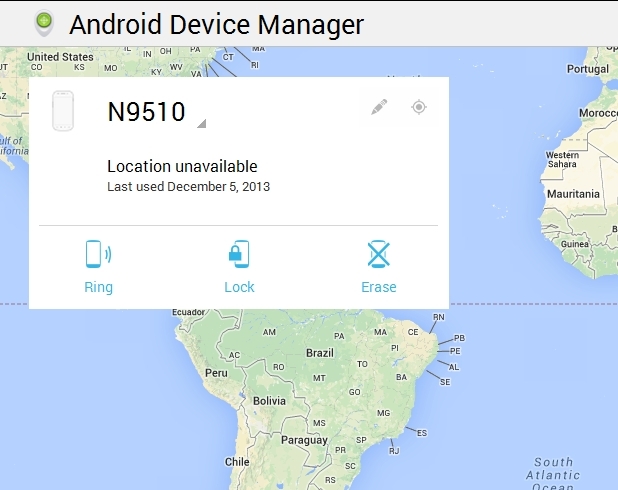 You need to set up Android Device Manager ahead of time to be prepared in case something happens to your phone. As an added bonus, Android Device Manager also lets you ring your phone in case you simply misplace it somewhere in the building. Using cloud storage services such as Dropbox and Google Drive has definitely changed my life. 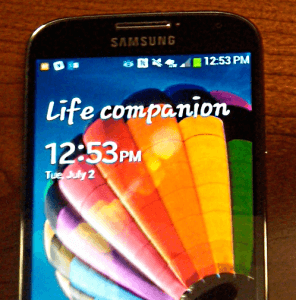 A large part of their appeal is the automatic backup of photos and videos from your Android smartphone. If you take a lot of photos and/or videos, you certainly don’t want to lose everything if your phone becomes lost, stolen or damaged. It’s also cumbersome to get photos off your phone without a cloud service. How many times have you tried to email photos or videos to yourself, only to have them rejected due to their large size, or find them stuck in a spam filter on the other end? Dropbox offers at least 2 GB of free cloud storage. All Amazon customers can receive 5 GB of free cloud storage space for any types of files, and Amazon Prime members receive unlimited storage space for photos. Google Drive gives you 15 GB of free cloud storage space, which includes any space used by your Gmail account. You can increase your Google Drive space on its own, or you can sign up for G-Suite for as little as $5 per month per user. With G-Suite, you get 30 GB of storage and a Gmail address with your own company domain, plus usage of Google’s professional office software suite for documents, spreadsheets and presentations, smart shared calendars, 24×7 tech support and lots more. Your first 14 days of G-Suite are free so you can give it a try. Not only do Amazon Cloud Drive, Dropbox and Google Drive offer easy access to your files from other Internet-connected devices, but they also allow you to back up your smartphone or tablet’s videos and photos. This means you can delete them from the device to save space if you need to, once you verify that you can see the files on your computer in whichever cloud service you’ve chosen. I could go on and on about how much I love Evernote, an application that has truly been a life changer for me. I keep all sorts of notes in it, including records of when and how I did certain things around the house and how I resolved various problems at work. I also write and edit my blog posts in Evernote and keep photos of my kids’ artwork there so I don’t feel like I have to save every last masterpiece they bring home. Adding a microSD card will give you additional storage, particularly for photos, videos and Kindle books. Most Android phones will accept at least a 32 GB microSD card, and they cost less than $15. Protect your phone from damage while truly making it your own. You might choose a designer smartphone case from cinda b or a sturdy Otterbox Defender Series Case. You might also want to pick up a car charger and extra wall charger. Sell your old phone for cash with Gazelle Trade-In. The company will buy your gently used tablet or smartphone, refurbish it and resell it at a steep discount from what a new device would cost. Find more of my Android posts here and smartphone posts at this link. If you enjoyed this post, could you please click here to give it a G+1?